I had the dreaded code 25 on my 2007 f12x, I replaced the ECU and everything is OK now, my question is would it help the lifespan of the ECU if I install a battery disconnect switch so that I can cut all power to the ski while it's not being used? I don't think you should have a problem. You could always disconnect the ground cable. I put one of these on my negative lead. Just remember it should be securely fastened to a bracket somewhere and not just hanging in the wind. I just ordered the Blue Sea battery mounted on / off switch. So should I connect it to the negative side ? Goes on the pos. lead. Battery disconnect and multiple battery selection switches are installed on the positive lead of the batteries. Yes I know automotive batteries have different size posts. Power sports batteries do not. If you look at the switch he has purchased, it is designed to be installed over the battery, not hanging out past the battery. That would be a incorrect installation for any battery mounted switch. You can also see that it comes with a cover. The video is correct on two accounts. Disconnects or clamps that are designed to attach to the negative terminal should NEVER be forced to install on the positive, and if installed extending past the battery like that can increase the chance for a short, but so can having uncovered battery terminals, in fact even more so. That is why the manufactures put covers on them. Another reason disconnects like shown in the video are installed on the neg is that any sparking of the positive upon connection causes a surge to the system and can fry electronics. Batteries are ALWAYS to be connected positive first. That being said, NHRA mandates that all battery disconnect switches are to be installed on the positive., and battery selector switches on boats are connected on the positive. In my opinion, the correct disconnect is mounted in a bracket and connected via cables (see my previous post about that). The added weight and use of a large disconnect like shown in the video can induce added stress to the battery post and movement of the cables, and could eventually cause breakage of the cable and/or post. Another thing to remember is that Pwc's are not made from metal, so grounding to the body is not possible. "Section 21 page 37 8:4, part of NHRA’s General Regulations, says that a Battery Disconnect is “Mandatory when battery is relocated, or as outlined in Class Requirements. An electrical power cutoff switch (one only) must be installed on the rearmost part of each vehicle and be easily accessible from outside the car body. 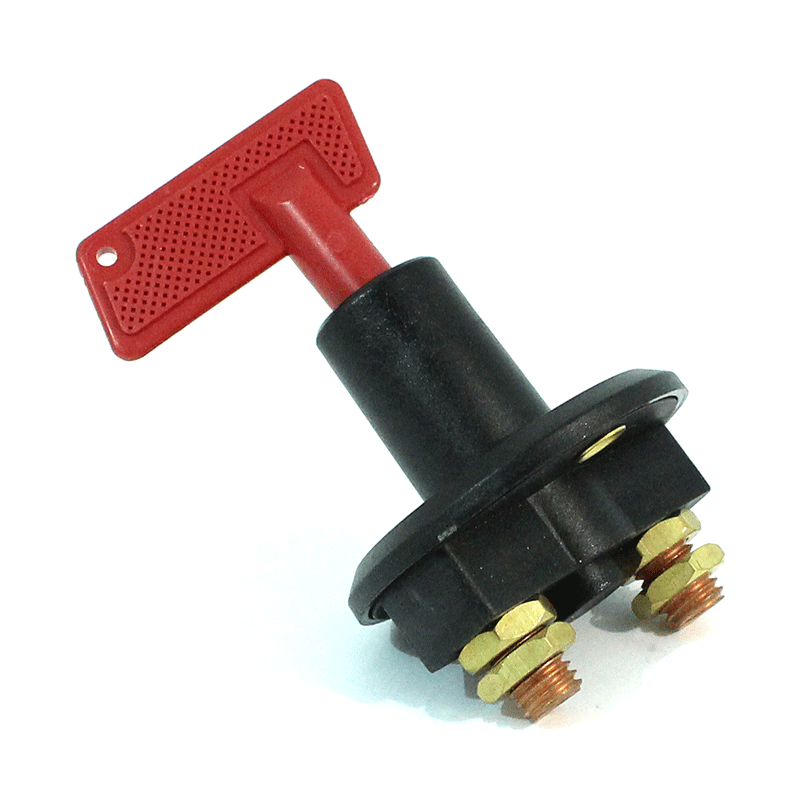 This cutoff switch must be connected to the positive side of the electrical system and must stop all electrical functions including magneto ignition. The off position must be clearly indicated with the word “OFF.” If switch is “push/pull” type, “push” must be the action for shutting off the electrical system, “pull” to turn it on. Any rods or cables used to activate the switch must be minimum 1/8-inch diameter. Plastic or keyed switches prohibited." Good points Rod. I think my boat disconnects might break the positive. I know my ski sits for extended amounts of time and I have always just disconnected the negative cable for that simple reason of not having to worry about the wrench hitting a ground. Looking At Blue Seas website it looks like some models can be hooked up either way. Here is from their site.